This National Influenza Vaccination Week (December 6-12), we want to remind all parents to make sure their family members – everyone 6 months and up – get their flu vaccine. As an organization comprised of meningitis survivors and families who have lost loved ones to a vaccine-preventable disease, we know how important prevention is. Although most people who get the flu will recover in less than two weeks, some may develop life-threatening complications. Each year, 5 to 20 percent of people in the U.S. get the flu. More than 200,000 people are hospitalized and 3,000 to 49,000 deaths occur. Last year alone, there were 147 pediatric deaths associated with the flu. Families Fighting Flu is an advocacy organization dedicated to raising awareness about the seriousness of flu and the importance of vaccination. The organization includes families whose children have suffered serious medical complications or died from influenza. With these stories in mind, NMA urges everyone 6 months and up to get a flu vaccine – protect yourself and your family. This week, several public health and medical organizations published a call-to-action urging doctors to recommend and administer the meningococcal A, C, W and Y booster dose recommended at age 16. The booster dose is recommended for all teens at age 16 because the protection they received from the first dose begins to wear off over time. It’s critical that kids receive the booster to protect them during the ages when they are at highest risk of meningococcal disease. Currently, less than 30 percent of first-dose recipients have received the booster. This means that about 70 percent of teens remain unprotected. We must improve this rate, and we know a doctor’s recommendation is a key factor in making sure our children are fully protected. NMA applauds the efforts of these organizations and reminds all healthcare professionals and parents that when teens receive the A, C, W and Y booster dose, they should also talk to their doctor about getting the serogroup B vaccine! Below is an excerpt followed by a link to the full call-to-action letter. The American Academy of Family Physicians (AAFP), American Academy of Pediatrics (AAP), American College Health Association (ACHA), Society for Adolescent Health and Medicine (SAHM), Centers for Disease Control and Prevention (CDC), and Immunization Action Coalition (IAC) urge you and your fellow healthcare professionals to strongly recommend and administer the second (booster) dose of meningococcal ACWY vaccine (MenACWY or “MCV4”) at age 16. MCV4 was developed to prevent meningococcal disease resulting from infection with serogroups A, C, W, or Y. Meningococcal disease is devastating and debilitating, with a staggering 10–15% case fatality rate. In May 2005, CDC’s Advisory Committee on ImmunizationPractices (ACIP) published its recommendation to vaccinate all 11–12 year olds with MCV4. In 2006, only 11.7% of adolescents 13–17 years of age had received a dose of MCV4; by 2013, 1-dose coverage in children 13 years of age had grown to an impressive 78.0%. 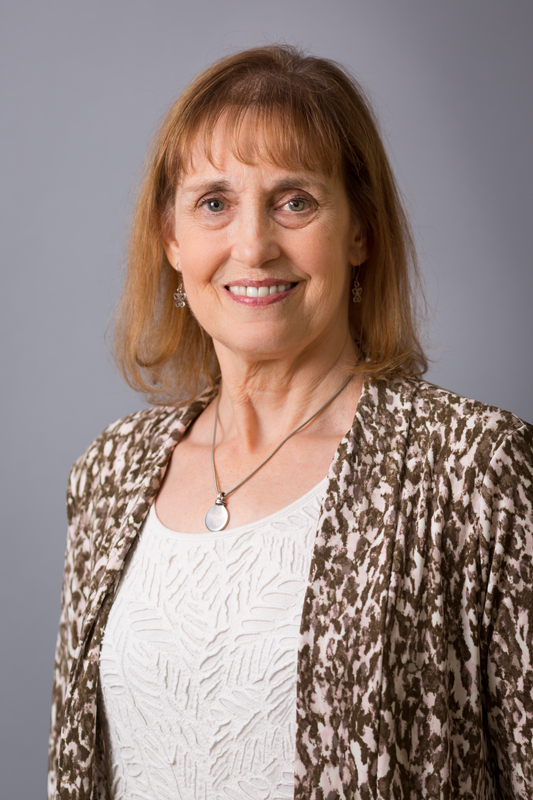 In January 2011, ACIP recommended that a second (booster) dose of MCV4 be given at age 16 in order to enhance protection in the period of greatest vulnerability to meningococcal disease – 16 to 21 years of age. Unfortunately, more than four years after this recommendation was published, the 2-dose coverage rate for MCV4 in 17-year-olds is only 28.5%.By vaccinating fewer than 1 in 3 eligible teens, we are leaving millions of young adults without the protection they need. 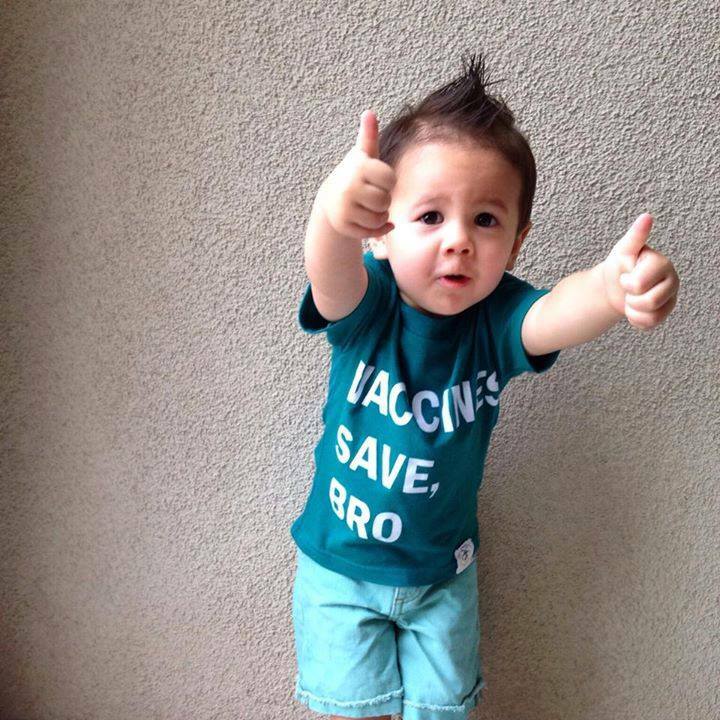 A provider’s endorsement of vaccination has long been recognized as a key factor in improving immunization rates. You are therefore in a perfect position to improve coverage by offering a strong, unequivocal recommendation for vaccination with a second dose of MCV4. We urge you to take advantage of opportunities to vaccinate during all patient encounters, including well visits, camp and sports physicals, visits for acute or chronic illness, and visits for other recommended immunizations. Additional ideas for improving your rates are available at www.Give2MCV4.org. There are many ways that M.O.M.s and T.E.A.M. members work to fulfill NMA’s mission to protect families from the potentially devastating effects of meningococcal disease by educating the public, medical professionals and others about the disease and its prevention. A few NMA M.O.M.s and T.E.A.M. members focus their efforts on supporting the implementation of meningococcal vaccination and education policies in their states. When NMA was founded in 2002 there weren’t even routine recommendations for meningococcal vaccination, let alone any state-based requirements. However, in the past five months alone, three states passed bills related to meningococcal disease vaccination. That brings the current total of states that require vaccination or education about meningococcal disease to 43. These requirements can make a big impact. Sometimes people don’t make prevention a priority. They may believe they’re young and healthy and don’t think that something like this couldn’t happen to them. Sometimes teens are busy and they simply forget. 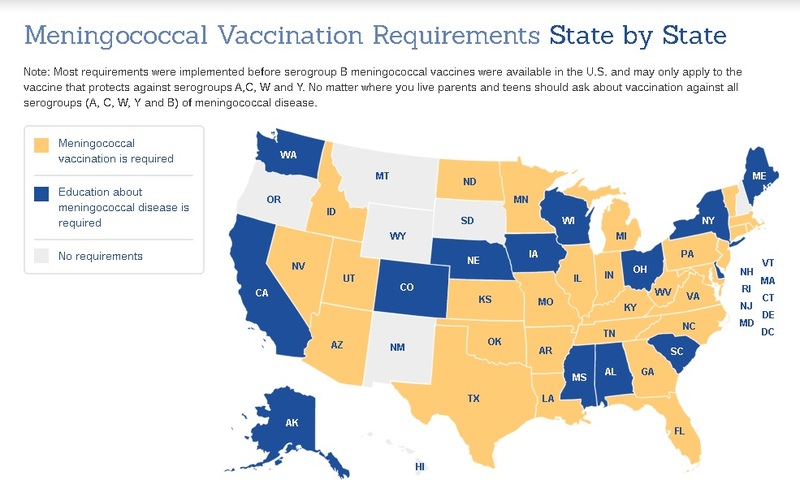 Studies have shown that the states with the highest meningococcal vaccination rates tend to have one or more vaccination requirements for school entry. We asked a few advocates who helped successfully bring meningococcal disease prevention polices to their home state to share their experiences. Their responses reflected how difficult and rewarding influencing policy can be. We’ve come a long way. Thanks to the work of advocates like Cindy, Jeri, Leslie and Samantha, many more preteens and teens will be protected from this terrible disease. Of course there’s still more work to be done and if their stories inspire you we encourage you to contact your representatives!